This is an all-too common phenomenon that is largely ignored. But it means that a party may be bound by a provision tucked away in the underbrush of a multi-page document brimming with legalese so long as the document looks like a contract— but not by a one-sentence disclaimer of liability on the back of a dry-cleaning receipt since the receipt isn’t generally regarded as a contract. 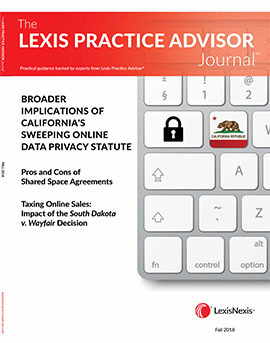 The problem of hiding contractual provisions in noncontractual documents and doing nothing to alert the recipient to the provisions has lately reared its ugly head in high-profile cases involving the sale of smartphones and online orders of all kinds. It can almost always be avoided if the drafter is mindful of one of the most basic of all legal concepts: although there is a duty to read a contract, there is no duty to read a non-contractual document even if it happens to contain a contractual provision. But the duty to read can be lost. When that happens, drafters lose an incalculable advantage. For example, the recipient has no duty to read a document when the other party deceives him or her about its contents.4 No drafting advice can whitewash a drafter’s fraud. But in many instances, the realities of the marketplace lead businesses to insert contractual provisions in documents and webpages that are not obviously contractual in nature or that have a limited contractual purpose. “The same document may serve both contractual and other purposes, and a party may assent to it for other purposes without understanding that it embodies contract terms.”8 When that occurs, the business needs to be aware that it loses the advantages of the duty to read unless it takes extra steps to put the recipient of the document on inquiry notice by alerting him or her that the document has contractual provisions. The classic examples: when a plaintiff checks a bag or package in the parcel room of a railway station,9 drops off a coat at a dry cleaner,10 or leaves a car at a public parking garage,11 the bailee who takes the plaintiff’s property might hand the plaintiff a small ticket or claim check that the plaintiff sticks in a pocket without reading. If the ticket contains words that purport to limit the bailee’s liability, it is unlikely that the bailee’s attendant will alert the plaintiff to them. If the bailee loses the property, it probably will offer to pay for it— but only up to the amount listed on the small ticket. In the ensuing litigation, courts often hold that the plaintiff had no duty to read the words on the ticket because the ticket didn’t seem to be a contract but just a means of identifying the property as the plaintiff’s. By taking the ticket, the plaintiff agreed to nothing, and the limitation of liability is not binding. On and on it goes—there is not enough space to chronicle the many instances where this phenomenon occurs. In many of these cases, it would have taken the plaintiff just a few seconds to read the limitation of liability or arbitration provision, but he or she never saw it and had no obligation either to look for it or read it. This is in contrast to any number of formal documents that consumers sign every day—insurance policies, car rental agreements, bank loans, and credit card agreements—that are often much lengthier documents and more difficult to understand, yet because everyone understands that they are solemn legal obligations, the purchaser has a duty to read them. If the contractual provision is inserted in a document or a website that is primarily intended to serve a non-contractual or a limited contractual purpose, the drafter needs to be cognizant that there will be no duty to read the provision unless it is brought to the attention of the recipient, and the recipient is put on inquiry notice of it. This includes contractual provisions hyperlinked on an online order page or tucked away in the information brochure that comes with a new smartphone. In the examples above, one of the chief reasons that the recipient didn’t know the document was a contract was because the drafter’s representative who presented the document to the recipient either didn’t tell the recipient or misrepresented the contents. The drafter’s representative needs to understand that the document contains a contractual provision that won’t be binding unless it is brought to the attention of the recipient. The representative must never misrepresent the document’s contents or suggest that it has no contractual significance. In certain circumstances, the representative may need to be charged with affirmatively alerting the recipient to the provision. The most prudent course of action in many settings is to have the recipient sign off on a document indicating that he or she has had an opportunity to see and read the contractual provisions. Such a practice would obviate disputes about what the recipient actually saw or was told. When a provision is contained in a brochure in-the-box with the product, depending on the jurisdiction, the seller may need to provide notice to the purchaser at the time of purchase that additional contractual provisions will be found in the box. The document inside the box containing the provisions needs to have conspicuous language on its cover alerting the purchaser that important contractual provisions are contained in the document. If the brochure that accompanies the product contains a limitation of liability or arbitration provision, the notice on the cover of the brochure may be insufficient if it merely indicates that it contains a warranty because warranties are generally thought of as imposing obligations on manufacturers, not purchasers. The notice should signal that the document contains important contract provisions, or words to that effect. Your client needs to understand that lawyers should be consulted not just about drafting the contractual provision that will be included in a non-contractual document or webpage, but also about how to notify the recipient that the document or webpage contains a contractual provision. For example, this may require that the lawyer be involved in the design of a website or a brochure accompanying smartphones or other products. After all, the provision is worthless if the recipient has no duty to read it. Timothy Murray, a partner in the Pittsburgh, PA law firm Murray, Hogue & Lannis, is co-author of the Corbin on Contracts Desk Edition (2017) and writes the biannual supplements to Corbin on Contracts. 1. See, e.g., Signor v. GWC Warranty Corp., 2018 N.J. Super. Unpub. LEXIS 1160 (May 17, 2018); Manopla v. Raymours Furniture Co., 2018 U.S. Dist. LEXIS 109024 (D. N.J. June 29, 2018). 2. Debra Cassens Weiss, Chief Justice Roberts Admits He Doesn’t Read the Computer Fine Print, ABA Journal, Oct. 20, 2009, http://www.abajournal.com/news/article/chief_justice_roberts_admits_he_doesnt_read_the_computer_fine_print/ (last visited May 7, 2018). 3. Allied Office Supplies, Inc. v. Lewandowski, Cox & W.B. Mason, Co., 261 F. Supp. 2d 107, 112 (D. Conn. 2003). 4. E.g., 7 Corbin on Contracts § 29.9; Toy v. Metro. Life Ins. Co., 928 A.2d 186 ( Pa. 2007). 5. Marin Storage & Trucking, Inc. v. Benco Contracting & Eng’g, Inc., 89 Cal. App. 4th 1042, 1049-50. See also Schnabel v. Trilegiant Corp., 697 F.3d 110 (2d Cir. 2012); Hirsch v. Citibank, N.A., 2014 U.S. Dist. LEXIS 83534 (S.D.N.Y. June 10, 2014); Metters v. Ralphs Grocery Co., 161 Cal. App. 4th 696, 702 (2008). 6. Restatement (Second) of Contracts, § 211 cmt. D (1981). 7. Murray v. Cunard S.S. Co., 139 N.E. 226, 228 (N.Y. 1923). See also Kai Peng v. Uber Techs., Inc., 237 F. Supp. 3d 36 (E.D.N.Y. 2017). 8. Restatement (Second) of Contracts, § 211 cmt. d. 9. Klar v. H. & M. Parcel Room, 270 A.D. 538 (1st Dep’t 1946), aff’d, 73 N.E.2d 912 (N.Y. 1947); Healy v. N.Y., C. & H. R. R. Co., 153 A.D. 516, 519-520 (3rd Dep’t 1912); Kergald v. Armstrong Transfer Exp. Co., 113 N.E.2d 53, 54 (Mass. 1953). 10. Ginsberg v. Spring Dry Cleaners, Inc., 2002 N.Y. Misc. L EXIS 135 (N.Y. App. Term 2002). 11. Palazzo v. Katz Parking Systems, Inc., 64 Misc. 2d 720 (N.Y. Civ. Ct. 1970) (disclaimer of liability on parking garage claim check). See also California’s statute providing that bailment contracts for parking lots are not valid unless the contract meets certain standards of conspicuity and copies of the contract are placed on sizeable signs at the parking lot entrances. Cal Civ. Code § 1630. 12. Specht v. Netscape Communs. Corp., 306 F.3d 17, 31 (2d Cir. 2002) (Sotomayor, J.) (“[P]laintiffs’ ‘apparent manifestation of . . . consent’ was to terms ‘contained in a document whose contractual nature [was] not obvious.’”). See also, e.g., Nicosia v. Amazon.com, Inc., 834 F.3d 220 (2d Cir. 2016) (website clutter rendered the conspicuity of the terms a question of fact); Herman v. SeaWorld 2016 U.S. Dist. LEXIS 181173 (M.D. Fla. Aug. 26, 2016). 13. Norcia v. Samsung Telecomms. Am., 845 F.3d 1279 (9th Cir. 2017); Noble v. Samsung Elecs. Am., Inc., 682 Fed. App’x 113 (3d Cir. 2017); Samsung Elecs. Am., Inc. v. Ramirez, 2018 U.S. Dist. LEXIS 80983 (E.D. Cal. May 14, 2018); Jones v. Samsung Elecs. Am., Inc., 2018 U.S. Dist. LEXIS 84586 (W.D. Pa. May 21, 2018). In-the-box contracting is an example of a rolling contract—some jurisdictions hold that contract formation is not finalized until after the consumer purchases the product, brings it home, opens the box, sees the contractual provisions, and decides whether to accept the provisions by retaining the product or to reject the provisions by returning the product. Not all states accept this theory of formation. Then-Judge Gorsuch said that the “rolling contract formation theory may be about as controversial an idea as exists today in the staid world of contract law.” Howard v. Ferrellgas Partners, L.P., 748 F.3d 975, 982 (10th Cir. 2014). 14. Lewand v. Mazda Motor of Am., Inc., 2017 U.S. Dist. LEXIS 218371 (C.D. Cal. Aug. 8, 2017). 15. Knutson v. Sirius XM Radio Inc., 771 F.3d 559 (9th Cir. 2014). 16. Alexander v. Brogley, 41 A. 691 (N.J. 1898). See Gabriel v. Glickman, 51 A.2d 106 (N.J. 1947). 17. Metters, 161 Cal. App. 4th at 702. 18. Adams v. Superior Court, 2010 Cal. App. Unpub. LEXIS 1236 (Feb. 22, 2010). 19. Capitol Automatic Music Co. v. Jones, 114 N.Y.S.2d 185 (Mun. Ct. 1952).